We're Mildly Geeky—we develop intuitive, accessible websites in Craft CMS and WordPress, and build robust Drupal applications. Some of my clients include The Center for the Next Generation, California Brightspot, Fetch Storage, and several others. I am an adamant advocate for accessible (true 508 compliance), beautiful web design and development. 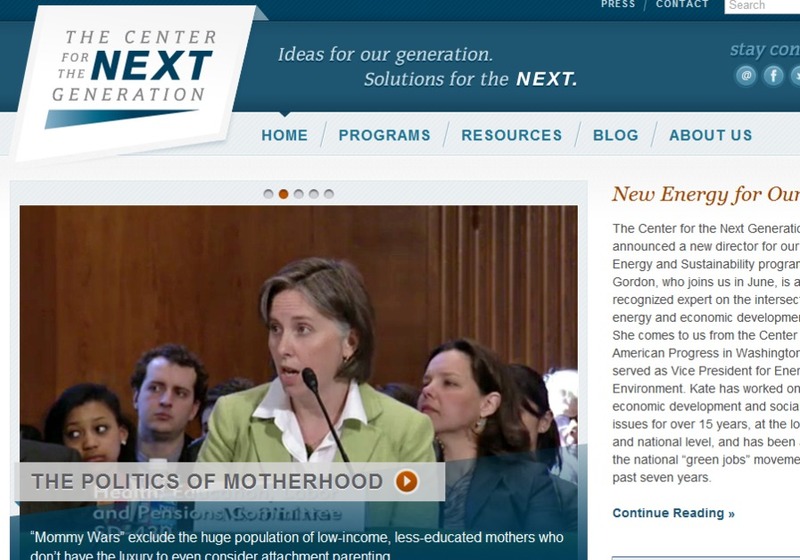 Homepage from The Center for the Next Generation, a nonpartisan strategic communications nonprofit. Their flagship site, www.tcng.org, is built in ExpressionEngine.